Liberty Township, OH (July 3, 2018) –On August 25, 1998, Mother Teresa Catholic Elementary School (MTCES) opened its doors to a class of 20 kindergarteners in the basement of Our Lady of Sorrows Church in Monroe. To celebrate 20 years of bringing academic excellence and spiritual development to youngsters in the Butler-Warren region, MTCES announces a year of commemorative activities. MTCES will kick off the momentous year with a Mass and dinner for the community at the school in Liberty Township on September 8, 2018 at 4:00 p.m. Fr. Terry Meehan, former pastor at Our Lady of Sorrows and a former member of the school’s Board of Trustees, will preside over Mass. Mother Teresa’s Annual Golf Scramble on September 24th at Walden Ponds in Indian Springs, which is coincidentally the school’s 20th fundraiser scramble, will feature a couple of enhancements to honor the occasion. The annual Derby Dance (November 10) and Extravaganza (March 23) fundraisers will also incorporate a new twist or two to celebrate. Alumni families have several plans in the works. An alumni parents’ reunion will occur on October 27 at Carriage Hill. Alums will reunite at Rhinegeist on December 22nd. In the spirit of St. Teresa and the school’s commitment to community outreach, alums also plan to conduct a service project. Additional events will incorporate student activities, including a birthday party and year-end picnic. 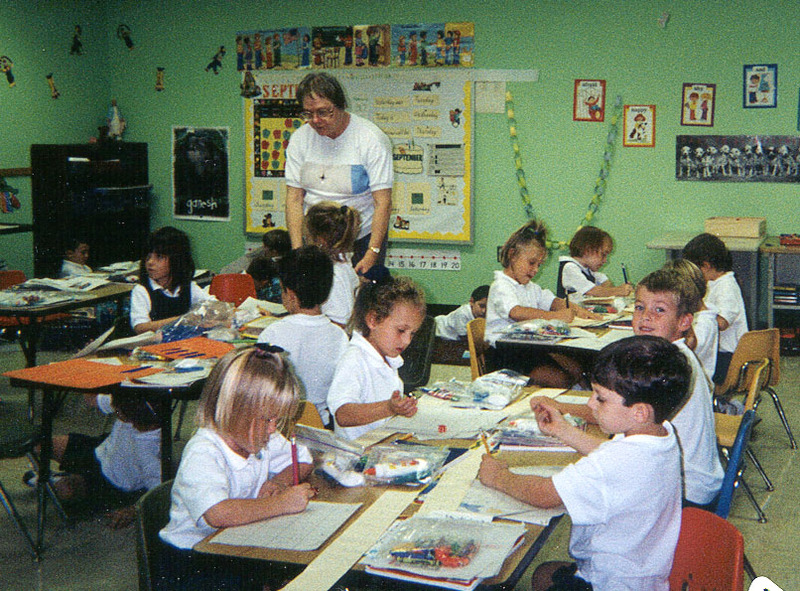 MTCES is one of only three independent, private Catholic elementary schools in the Archdiocese of Cincinnati. A group of 20 families, concerned about the unavailability of Catholic education opportunities in the Butler-Warren, Ohio region, founded the school. Sr. Anne Schulz, C.PP.S. has served as Principal and CEO since the school’s inception--helping the school build its permanent home on a 25-acre campus in Liberty Township. The state-of-the-art facility opened a new academic wing in the 2016-17 school year, and will welcome about 530 students this fall.